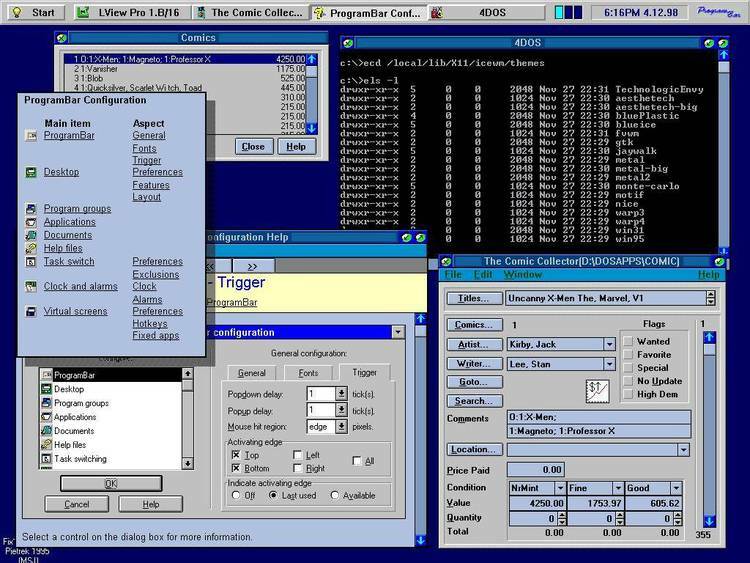 Creates a menu button bar for using Windows 3.1. Note: ButtonBar Plus is released on a Shareware Evaluation Basis only. YOU MUST HAVE VBRUN100.DLL installed in the WINDOWS directory in order to run ButtonBar Plus. From Windows FileManager run BSETUP.EXE. This program will install ButtonBar Plus automatically. Run MOREICON.EXE for additional icons to use for your DOS programs running under windows.